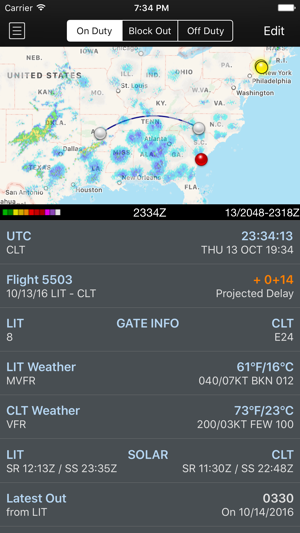 FIRST 90 DAYS FREE for new users: APDL is the one and only airline pilot logbook app you'll ever need. 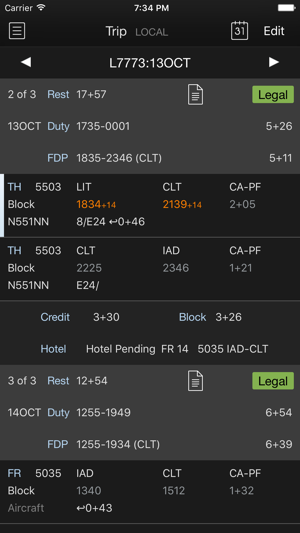 Pilot logbook, comprehensive up to the minute legality calculations with complete 14 CFR Part 117 coverage, duty time management, crew tracking, schedule importing, automatic resume generation, alerts, and much more. Export flights at any time using the APDL.net airline pilot portal for extended features with Logbook Pro. - Drill down information is available to easily lookup information such as flights flown with crewmembers, tails flown per aircraft, etc. - Alerts view shows a list of the latest information such as duty status, legal for duty, etc. Subscriptions do not auto-renew. In-app purchases will be charged to your iTunes Account. Subscription terms and pricing may be found in the My Account area within the app. APDL is a registered trademark of NC Software, Inc.
MAJOR UPDATE! Revisions are noted below but major areas of interest in this update are: Reports, LATT, and FAR 1.1 support. We want to say thank you to our outstanding beta teams that assist us in features, testing, and feedback. APDL is extensively tested prior to every release to ensure the highest quality software in your hands. 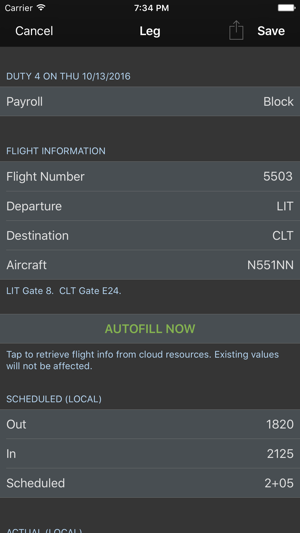 We hope you are enjoying APDL - The Airline Pilot Logbook and welcome suggestions either in public or private from the appropriate options in the app's Communication area. We also welcome your positive app reviews in the Apple app store to show your appreciation to our hard working developer team working hard to ensure you have a great app and user experience to aid the challenges faced as an airline pilot. Thank you for choosing APDL and being a part of the NC Software team. It’s a bit convoluted at the moment. It’s hard to say whether it’s the fault of how overly complicated part 117 regulations are, or whether it’s the design of the app. Right now, it’s pretty difficult to just come up with a simple latest wheels up time. Also, the section to keep track of pay is of no use, since it has been horribly inaccurate for me. As a portable log book though, once I finally figured out how to sync with logbook pro, it works really well. If they come up with an easy button to sync with Logbook pro, it’ll be perfect for me. The other bells and whistles are nice, but it’s almost trying to do too much. It’s a bit of a Jack of all trades, master of none situation. 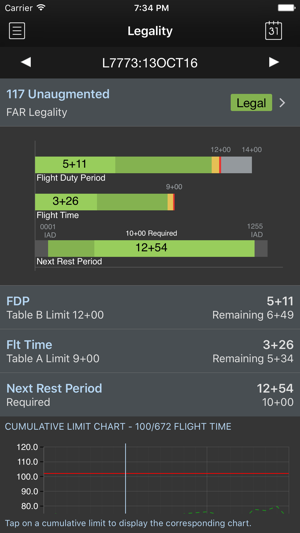 If I’m getting close to my drop dead time, I end up wasting so much time trying to interpret what this app is telling me so I usually just give up and use the ALPA 117 calculator instead. A lot of that could probably be solved by reading up or browsing the forums, but honestly we shouldn’t have to do that with a smartphone app. Focus on making a simple user interface before adding features and this will end up as the best logbook/part 117 tracker out there. Split duties have to be hand built. Tedious process that takes too much time for those who are scheduled for multiple split duties in their schedule. The Part 117 compliance check doesn’t recognize that split duties can be fit back to back to fit within 6 calendar days (5 nights in a row), so it flags it as a 117 violation. There should be an override for the user to double check flagged duty limits and allow the user to clear it as good, just in case the app’s algorithm is unable to account for circumstances the programmers couldn’t anticipate. Overall not as intuitive or user friendly as it should be. You’re going to have to watch the videos and read the material to learn how to use it, but instruction videos and reading material isn’t comprehensively outlined, so you’ll spend a couple hours using google to search for an answer, only to finally realize that the reason you can’t find the answer is because the app isn’t capable of performing the function you thought it could or ought to able to do. Last, this doesn’t synch to logbook pro automatically and you’ve got to use a data file to transfer. A company should be able to synch between its own apps. So I came back to this app... but still not happy! This app is great for airline pilots and FAR 117. It does not however have turnkey ability to sync to logbook pro. This has been very frustrating. For the money, I should not have to manually transfer my hours between programs. When will this happen? 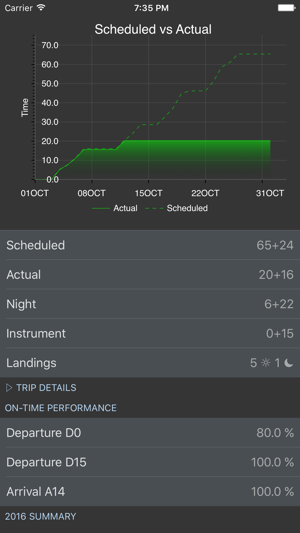 I know it was never promised but you have another app that does sync with logbook. It can’t be that hard. I would be willing to pay more if it did. Just no it’s a great app but if you have a digital logbook and it’s logbook pro be prepared headaches. It’s a lot of money for the amount of work still required on the user end. And yes I did update my rant previously posted. © 2018 NC Software, Inc.